Dear readers, we have made the following changes in later printings of Empty Mansions, fixing typos or errors of fact. If you see any error, or have questions of any kind, please send an email to Bill Dedman.. Thank you for your help and encouragement. Bill Dedman and Paul Clark Newell Jr. Page with Roman numeral x: In the family tree, on the fourth row from the top, the dates for W.A. Clark's daughter Katherine Louise Clark Morris should be 1875-1974. Page 43: We've removed two descriptions of the Clark mansion in Butte because they couldn't be confirmed: W.A. 's silhouette being sculpted above the mantel, and the staircase of nations. Page 121: In the map of mansions on Millionaires' Row, home No. 13 at 972 Fifth Avenue should be identified as the Payne Whitney house. It was built for William Payne Whitney, known as Payne Whitney, not for his brother, Harry Payne Whitney. Page 195: In the paragraph beginning “An enormous floating wooden dock,” we removed the reference to the dock being stored near the rustic beach house. Page 200: We removed a reference in the second paragraph to Morton being the staff member who cultivated bonsai. It was the house man, Harry Pepper, not Morton the butler, who worked with bonsai. Page 204: In the last line, it was La Cumbre Junior High School, not Santa Barbara High School, where the Clark chauffeur, Walter Armstrong, embarrassed Barry Hoelscher by driving him in the Rolls-Royce. Page 273: Huguette was six miles from the World Trade Center, not two miles, on September 11, 2001. This was before she moved, so the distance should be measured from Doctors Hospital (Beth Israel North), not from the main Beth Israel downtown. Page 347: Corrected the brief description of aphasia. Not a disease, and not akin to dementia, it is a language disorder caused by brain damage, often due to stroke, head injury, cerebral tumors, or degenerative diseases. Page 350: In the paperback edition, as pages 348-350 were updated to reflect the settlement of the contest over Huguette's will and the Clark estate, one line was in error and has been fixed in later printings. The paintings created by Huguette were to go, under her will, to the Bellosguardo foundation. But in the settlement no special provision was made for those paintings, so they were sold by the estate in the auction at Christie's in 2014. 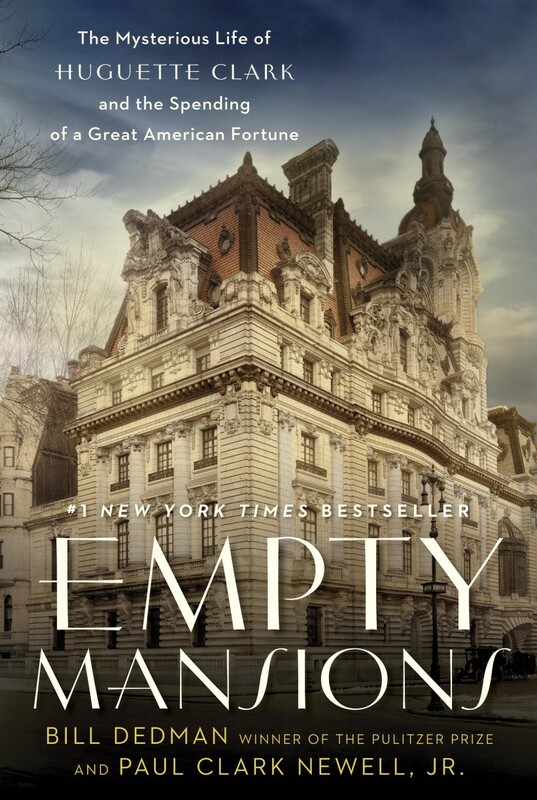 Page 363: Added Katie McNally to the list of Random House staff who brought you Empty Mansions. A note for page 193 refers incorrectly to the Montecito Historical Archives, which is not connected to the Montecito Association.